Due to overwhelming demand, Toyota of Santa Fe needs customer focused Online Sales Professionals. We are a company that has a philosophy of a family atmosphere with a corporate structure. We strive to ensure that our team members have the support they need to succeed. If you’ve got the drive to join a fast paced working environment and hit our high standards! 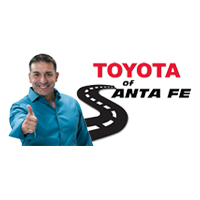 Apply online at http://www.toyotaofsantafe.com/careers/ or see Raul Gallegos, Online Sales Manager at Toyota of Santa Fe.